State Registered Contractors who hold Certificates of Competency (CC’s) in Broward County are now required by ordinance to complete 14 hours of continuing education every two years, which now includes 1 hour of training in Chapter 9 of the Broward County Ordinances. Additionally, local Broward County Specialty Contractors are required by ordinance to complete 4 hours of continuing education every two years, which includes 1 hours of training in Chapter 9 of the Broward County Ordinances. 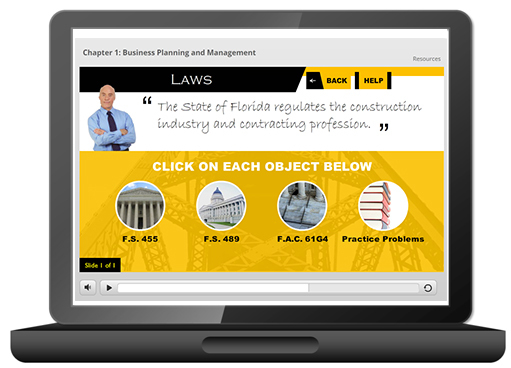 This online course, which is a review of Chapter 9, provides an overview of the licensing categories, permitting processes, and enforcement provisions contained in this ordinance. This course has been approved by the Broward County Construction Trades Central Examining Board to meet the new 1-hour Broward County specific CE requirement. Course Completion and Reporting: Upon successfully completing this course you will be able to print the hard copy completion certificate for your records and submittal to Broward County when renewing your license. If you have any questions, please contact our helpful Career Counselors at 1-800-732-9140.